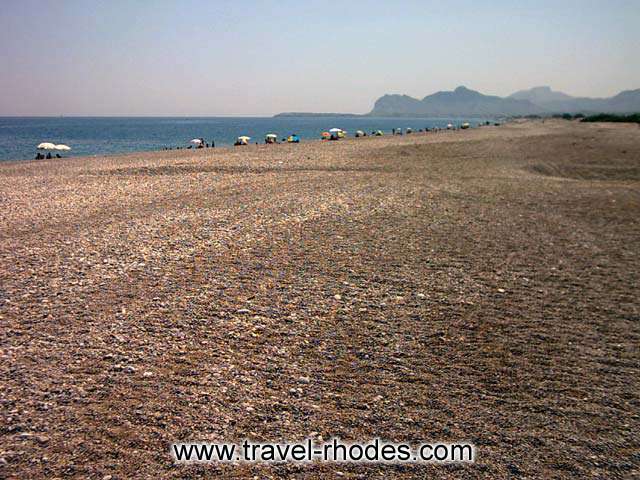 Afandou is wonderful long beach (more than 3 km), that lies at a distance of about 20 from Rhodes town and 4 km from Faliraki beach. 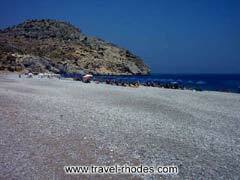 It is a pebble beach with crystal clear waters. 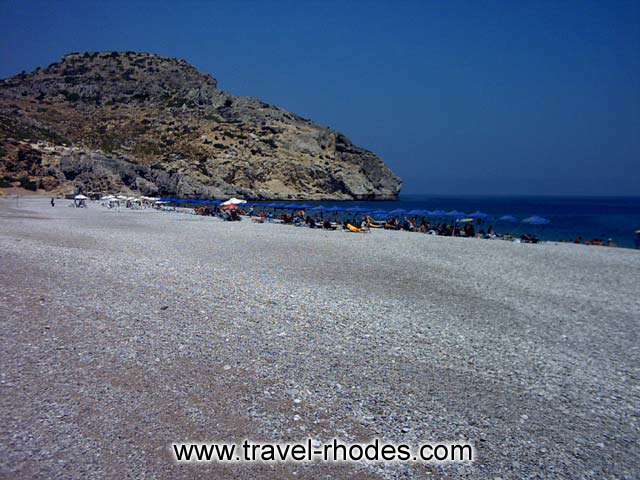 The village is located at a distance from the sea and its name (invisible in Greek) originates from the pirate era, when people had to protect themselves and hide from the shores at the ocassion of a pirates invasion. 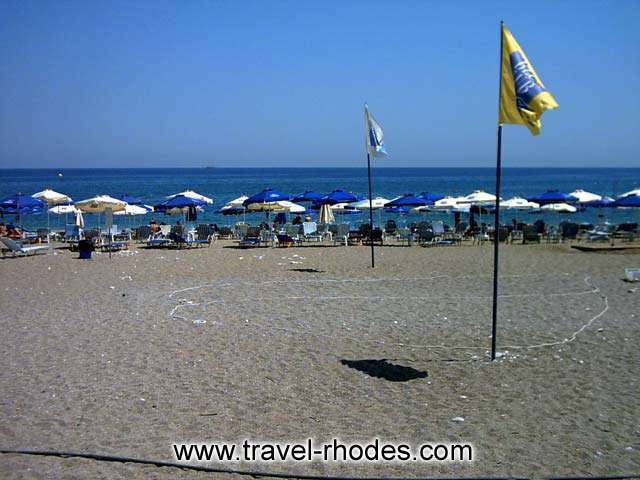 There are several Greek taverns at the edge of the beach and also Afandou golf is located here.